I got this quilt finished for a very good customer. 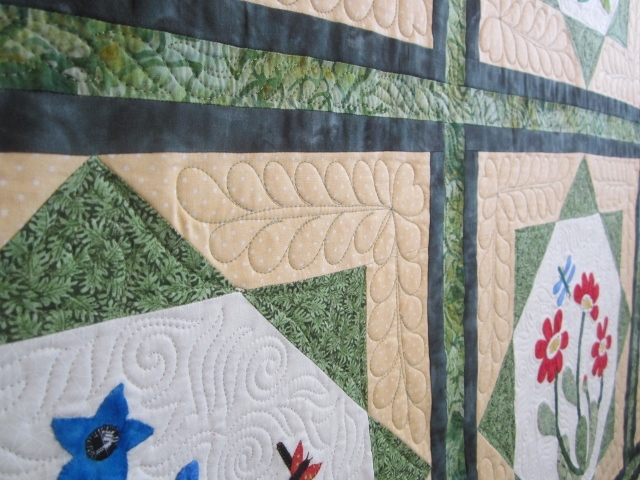 I have been quilting her quilts for many years. 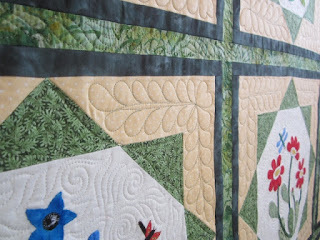 She does some great applique mixed with piecing. Most of this quilt is needle turned hand applique. The bugs were extra cute details she added in. 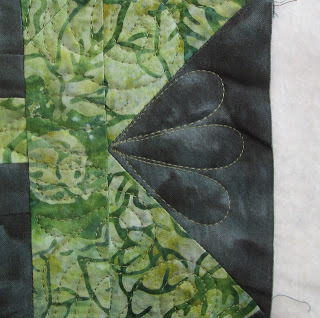 I really wanted to do some special quilting on some of the different parts so that it would show off. The photo below shows the little detail I did on the outer triangle. She was very pleased with the little petals I used. 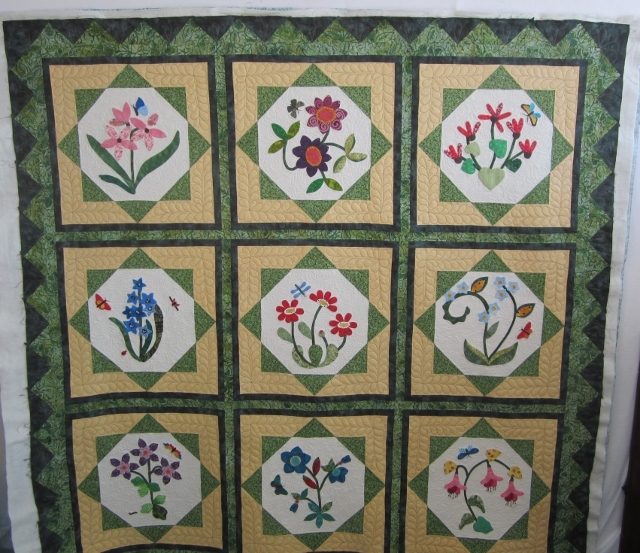 I have been doing more quilting for customers than my own work so I thought I would show this Finish today. I have added today's post to Crazy Mom Quilts. Beautiful quilting Cathy and a gorgeous quilt. What a lovely quilt. Your quilting looks great on it. 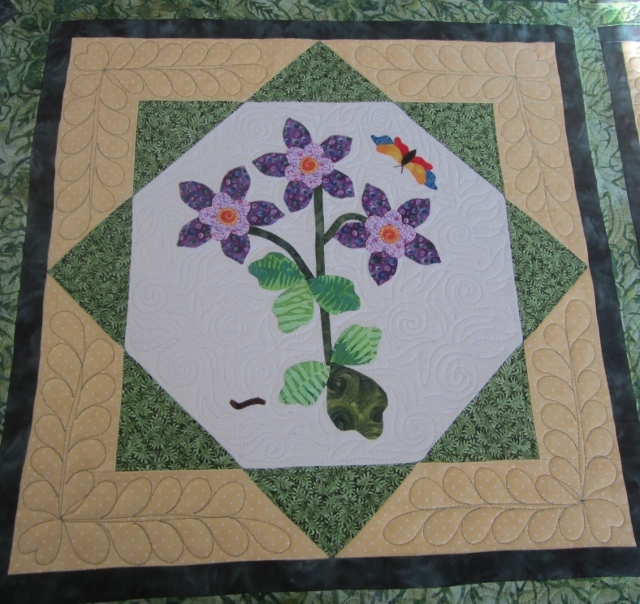 You have been quilting up a storm- I had not done any quilting for the past couple of months - no time with work and the rest of life. I am looking forward to Christmas vacation when I can quilt a bit then. 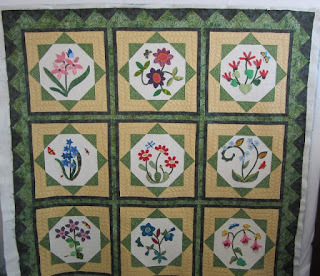 Always nice to see your beautiful projects - you are a fabulous quilter.